The USS Discovery has set off on a new adventure as the crew, now led by Captain Christopher Pike, attempt to investigate seven mysterious signals. Using spore drive to reach the second—located in the Beta Quadrant—they are surprised to find no anomaly where one should have been. Instead, they find a pre-warp colony of humans that were brought to this far-flung world more than 200 years earlier, just after World War III. Pike, Commander Michael Burnham, and Lieutenant Joann Owosekun beam down to the planet to investigate while the remaining bridge crew formulate a plan to save the planet from the highly radioactive rings that are beginning to rain down. 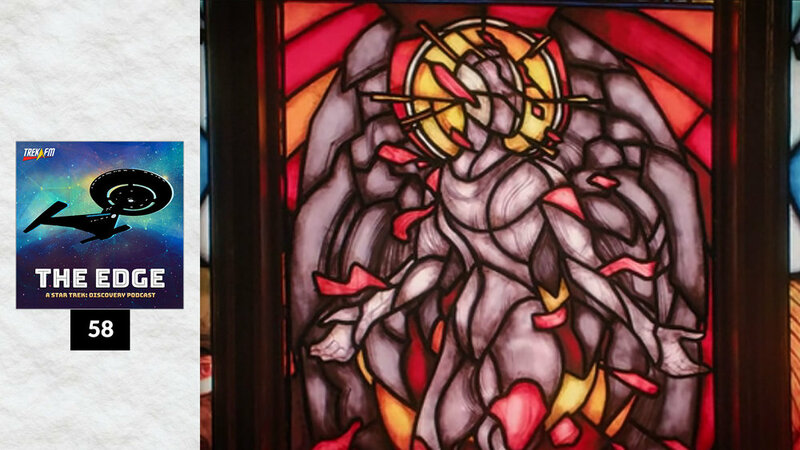 In this episode of The Edge hosts Amy Nelson and Patrick Devlin are joined with Brandon-Shea Mutala of Melodic Treks to discuss faith vs. science, General Order 1, and the connection between the Red Angel and the space anomalies.